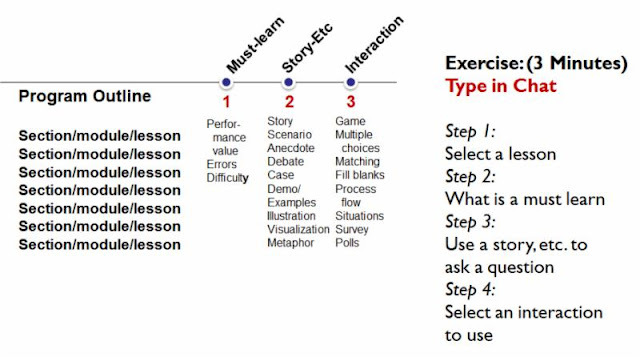 How does the concept of Instant Learning impact performance? How do we utilize the brain's tendencies to maximize its ability to learn? What advantage does a singularly-focused idea have that helps learners comprehend faster and recall better? Before we go further, let's engage in a bit of an experiment. 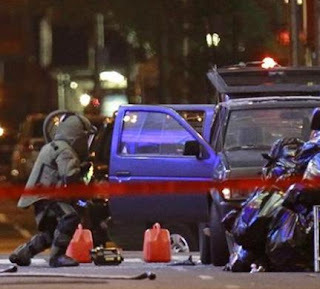 The image below made global headlines. What if you got caught in a situation like the one depicted above? How do you think this would affect you as well as your family? What feelings are evoked by this situation? What rushes through your mind when you first see this? I'm quite sure that the response is very visceral. It stirs up emotions of danger, worry and fear among others. Thus, this single image triggers a quick emotional response. Take this next situation. What feelings well up within you when you look at this image? How does this image impact you? What and how does this make you feel? The response triggered may either be that of sympathy or even empathy. To its extremes, the individual, who looks at the image, may even feel the urge to throw up, too. This is another instance of a reaction without any provocation. Merely viewing the image generates a response. The common points between the above images are the relatability of the images as a means of evoking emotion from the viewer, as is the singularity of a response generated. However, a challenge posed is that, images do not generate a common reaction from all its viewers. A clear example of this is found below. 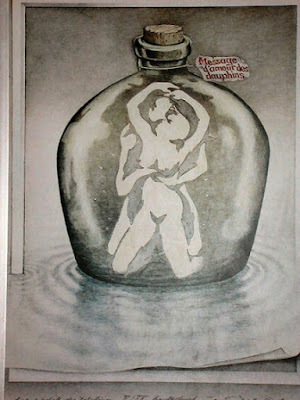 Illusion in the image. The image is from Al Seckel, Ph.D.'s research. 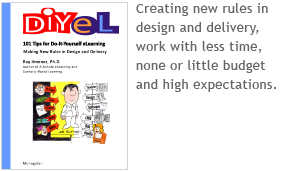 To see more of Seckel's research, view his TED presentation. What images can be seen? Do you see two people? 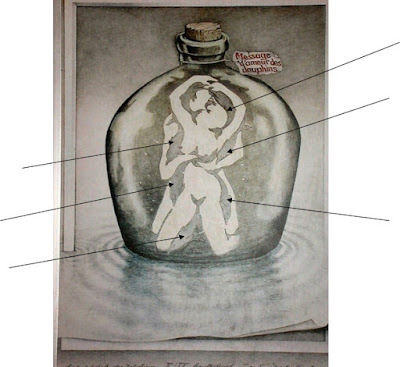 Are there other images that you see? The most common response would be seeing two people in a loving embrace. Some would see that and the dolphins in the image. Others would see only the dolphins. Still there are those who would see only the bottle. Note the arrows that show the dolphins in the image. Why is there a difference in perception? How come there are those who see only the couple embracing while others see only the dolphins? Why do others not see any image? According to scientific research, this occurs because perception is dependent on the realm of knowledge and experience of each individual. Hence, people tend to perceive things and images differently. Science, despite its great advances, has not been able to fully map the brain in order to know how it properly works. What has been learned though is that the perceptions of people, which are based on the experiences of the viewer, provides context to the images viewed. In a study conducted by Dr. Michael Merzenich, a famed neuroscientist, the brain's retentive ability to alter itself well into adulthood is known as neuroplasticity. This would show that the brain is constantly changing and these changes are the learning and lessons it has picked up in each and every day. Another finding by Roger Schank, who popularized the term "Tell me a story", is that the mind indexes information through stories. Through indexing, the relationships between image, memory and emotion are formed. 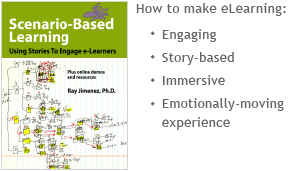 Thus, stories help the brain create the reactions it exhibits. By construction, our brain makes individuals, natural learners. 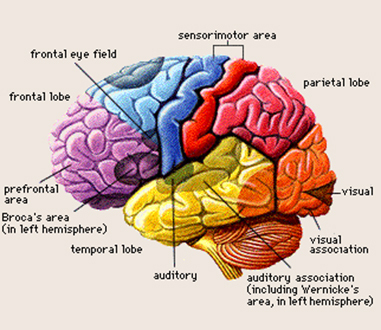 Above is the image of the human brain showing the different functions. One of the ways that neuroscientists reached their conclusions was through the observation of brain activity. It was found that the SPEED of CONNECTIONS in the brain determines the actions it takes. The DEPTH of connections between the ideas, images, actions, behaviors, attitudes is fathomless. The number of possible connections is infinite, allowing for a multitude of interpretations, thoughts and perceptions across so many people. Thus, the speed of the connections and the depth of these connections would determine the individual's learning ability, providing the multitude of interpretations by a single individual over a single image or instance. What is the difference between A and B above? 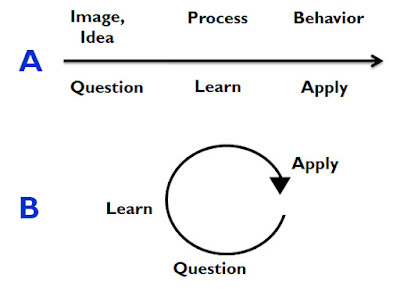 The learning process happens in a micro-event. 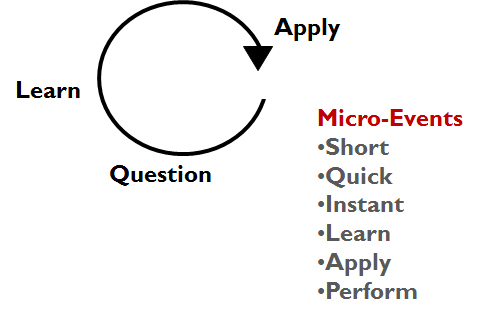 By definition, a micro-event is a short instance where the full learning process is realized. The longer the process to do some thinking, the more it defeats the learning. In reality, a decision has already been formed based on the previous learning made by the individual. a) How does it work for you? b) How does it benefit you? 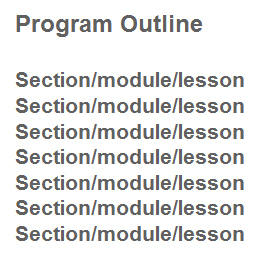 The key element here is the program outline. Then developing the concepts established above, the following are included, namely the Must-Learn, the Story and the Interaction. Thus the process involves the formulation of the program outline, with the key idea and the application of the instant learning. 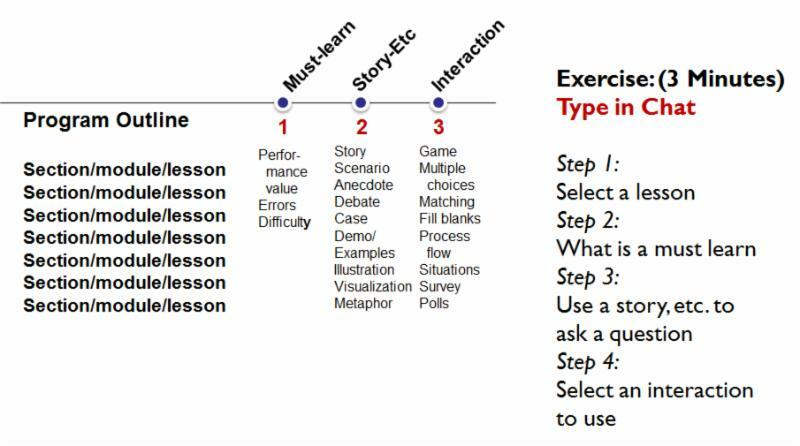 This is achieved through the creation of the question, how the question is delivered through the story and how the interaction is performed. ASK THE QUESTION THAT LEADS TO THE ANSWER. The KEY is QUESTIONS ACCELERATE CONNECTIONS!! The critical factor is the instant learning and the instant impact of the message leading to performance. 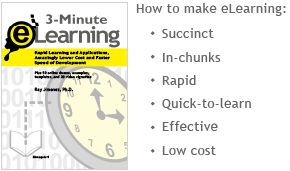 Instant learning must be short, precise and concise. 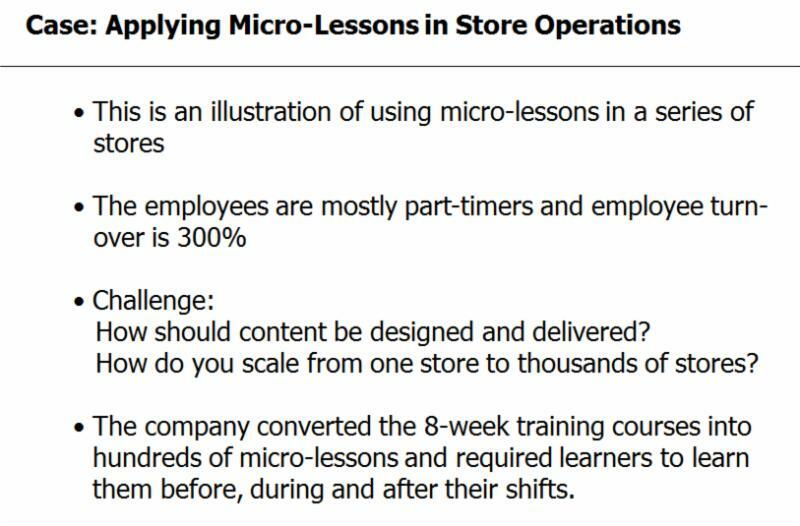 The results are faster through the use of micro-lessons and micro-applications.